Many years ago, on a trip to Wisconsin, I fell in love with beer cheese soup. I had stopped for lunch on my way to visit my brother in Minnesota. It was September, but the cold wind was howling so much that you could feel the car sway as you drove down the pine tree-lined highway. I had enough of the white knuckled driving so I stopped at what seemed like a sketchy roadside restaurant just off the exit in the middle of nowhere. I felt safe once I noticed that the parking lot was overflowing with patrons who had stopped to enjoy lunch. 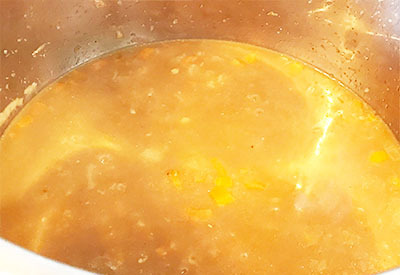 Once the soup has cooked, slowly release the pressure and stir in the cheese. I didn’t feel like sorting through the menu so I ordered the soup and salad. After that first bite into the warm, cheesy soup, I was hooked! The bacon and green onions were sprinkled lightly on top, adding great flavor and texture. If that wasn’t good enough, I had a small loaf of bread to mop up the extras! 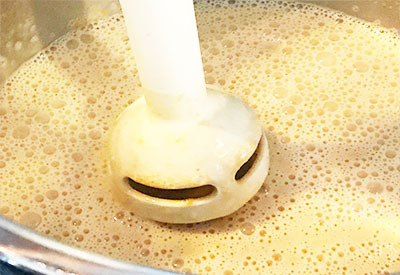 After adding the cheese, use an Immersion Blender to puree your soup. Fast forward a few years and I began to crave that delicious soup. One look in my pantry and I knew I had to make Instant Pot Beer Cheese Soup! Why not, I make every other soup in the Instant Pot now? 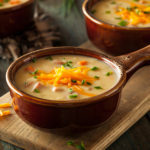 I did a little research and experimenting and found that in just a few short minutes, I could have my favorite beer cheese soup on my own table! Everything is made directly in the Instant Pot so that there is only one dish to clean. Plus, no more watching over the stove waiting for the cheese to get stuck to the bottom. Add a little Irish to the recipe by using Irish cheddar cheese and Guinness beer. I have even made this Instant Pot Beer Cheese Soup for St. Patrick’s Day! 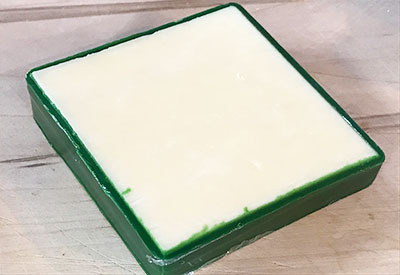 I use Irish Cheddar Cheese and Guinness beer and the flavors blend perfectly together. Bonus — add in a little extra cheese and use it as a dip for your next tailgate or party! 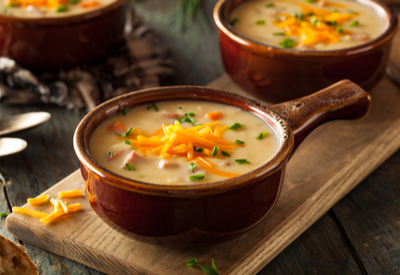 A rich and delicious cheese soup made with beer and topped with bacon. Make it an Irish version by using Irish cheese and Guinness. Push sauté button on your Instant Pot. While you are waiting for it to display the word HOT, dice up your bacon into small bits. Add the bacon bits to the Instant Pot and cook until crispy. Remove bacon with a slotted spoon to a paper towel to drain, leaving the bacon grease in the bottom of the pot. Add butter and when melted, add the onions and carrots. Stir and cook until the vegetables are softened, about 3-4 minutes. Add the flour and stir constantly until the vegetables are coated. Add the chicken stock, scraping the bottom of the pot to make sure to remove any bits that stuck to the bottom of the pot. *This is a key step to make sure the bottom of the pot is clear so that it is able to come to pressure. Turn Instant Pot off. Add salt, pepper, mustard powder, and cayenne. Stir to thoroughly combine. Add beer and stir. Apply the lid and place the knob in the sealing position. Pressure cook/manual on high for 5 minutes. When cooking time is expired, perform a controlled quick release, making sure the steam comes out slowly. Once the pressure is released and the pin has dropped, remove the lid. Gradually add the cheese in small batches and allow to melt before adding more. Stir in the milk, and add additional seasonings per taste. To each bowl add bacon bits for a topping. Great served with bread, soft pretzel bites, crackers, etc.. Recipe provided by Make Your Meals.